Home Politics Congress plans to crap Triple Talaq Bill; Vote bank over Women empowerment? Today India has a bunch of questions for the Grand Old Congress party. Don’t you believe in equality? Don’t you believe in women’s right in the dignity of life? In an announcement on Thursday, Congress’ Mahila presidents said that the party will ban the triple talaq bill if it was voted to power in upcoming elections. ‘I promise that the Congress party will come to power in 2019 and will scrap the Triple Talaq law. 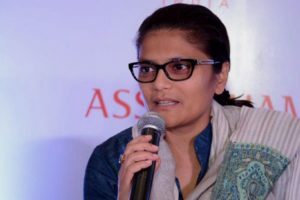 The law is just another weapon of the Modi government to arrest and harass Muslim men and put them in prison.’ Sushmita Dev said. The Muslim Women (Protection of Rights on Marriage) Bill was passed by the Lok Sabha in the Winter Session of Parliament last year but has faced hurdles in the Rajya Sabha. In January, the central government re-promulgated the ordinance banning the practice of instant triple talaq, which attracts a jail term of three years for the husband. After the video came out, BJP spokesperson Sambit Patra termed it as Congress’ “appeasement politics”. Patra pointed out that not Modi government but the Supreme Court has banned the triple talaq bill saying that it does not fit into the constitution of India. Women should have the right to life. However, women in India or in the world have the right to live in dignity and to live her beautiful life just like they want. No “tradition” like triple talaq should clutch their wings. Twisting the issue for political purposes is nothing more than the malignment of humanity.